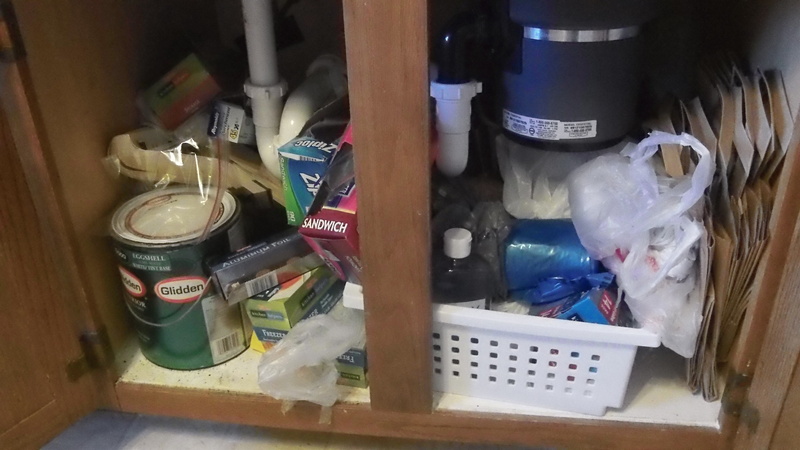 Under our kitchen sink was a horrendous mess! Mostly because we never cleaned it out before moving in. I thought hey, if the previous owners kept the painting supplies etc under here, it must be a good place, right? Wrong! I’m used to keeping other things under there, and there was hardly room. Step one: Empty everything out. 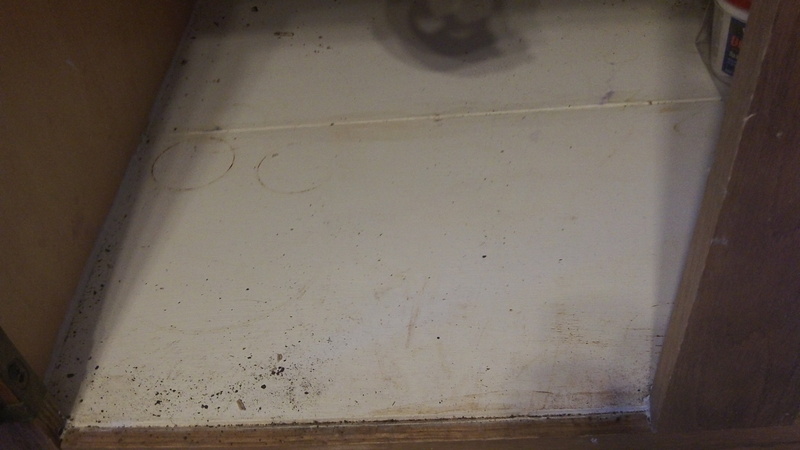 Step 2: Wipe out the inside of the cabinets. Step 5: Categorize what’s left. 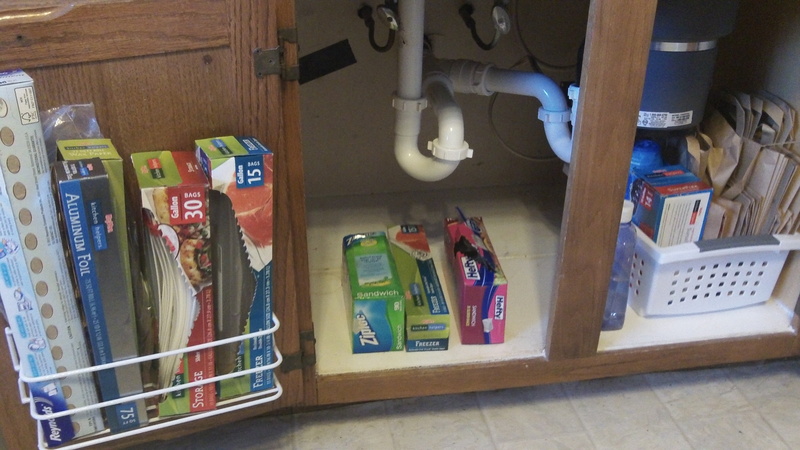 I store my ziploc bags, wax paper, foil, parchment paper, and paper bags under the sink for easy access. 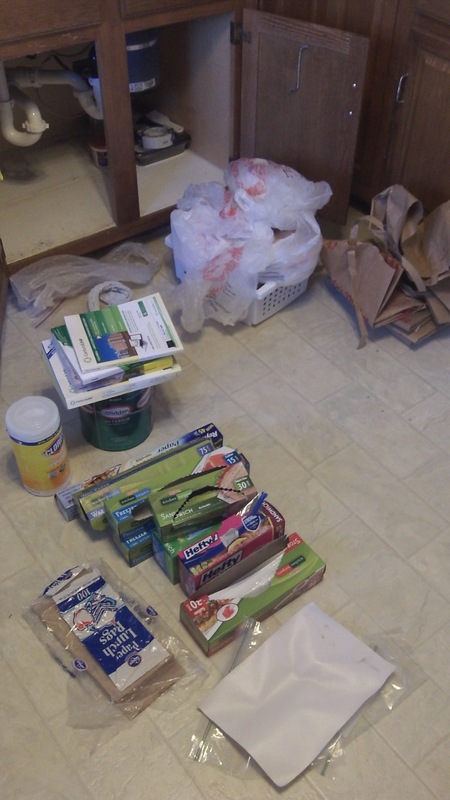 I also keep my garbage bags (including grocery sack liners for small trash bags), brown paper grocery sacks for cardboard recycling, and blue recycling bags under the sink. Here’s my plastic box full of trash day goodies. I also installed a wire shelf-like thing from the Container Store on the cabinet door. 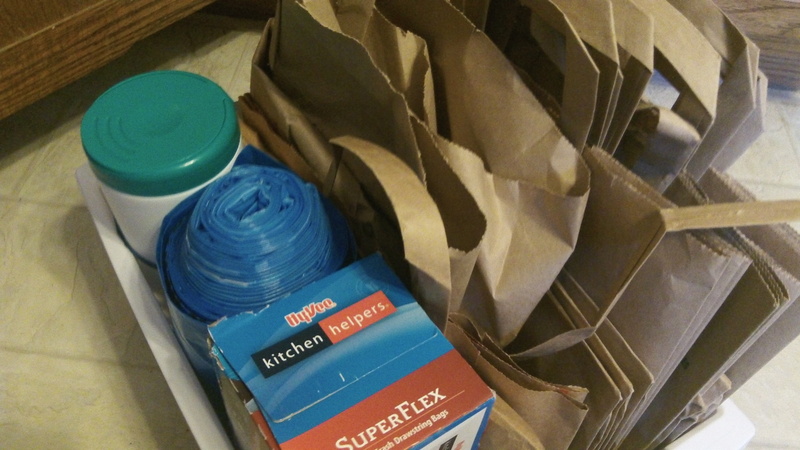 I put the parchment paper, foil, wax paper, brown paper bags, freezer bags, and gallon storage bags in this. Much cleaner and easier to find anything I want. 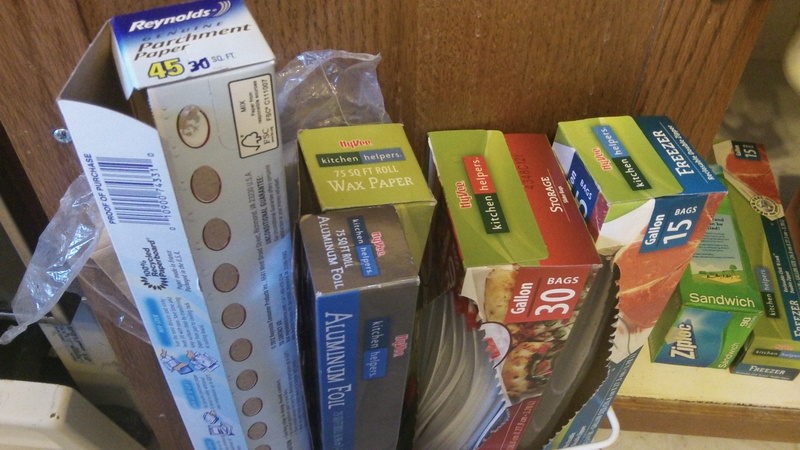 On trash days I’ll just pull out the plastic box and take what I need since everything is grouped together. I also added the soap refill. How’s the underside of your kitchen sink looking? Does it need a makeover? This entry was posted in Cleaning, Declutter, Organization and tagged clean, kitchen, kitchen sink, organize, organized. Bookmark the permalink.